Agriculture is one of the most important sectors of economy in India. Fertilizers and Agro Chemicals Industry in India is key to the Agriculture sector. Self reliance in food is one of the overall policy objectives and it is the application of adequate quantity of nutrients and plant protection chemicals that will result in optimum crop yield and sustain soil fertility. Bhilai Engineering Corporation remains firmly committed to the Agriculture Sector with the long term objectives of improving Crop Yields through modern Agriculture practices and application of proper Agro inputs like Fertilizers and Agro Chemicals. Agro chemical industry strives in achieving quality product and service towards the farmer which is very visible through the strength of our brand name in the market. One of the largest producer and marketer of Fertilizers in India since 1985. Marketed pan India through a network of more than 100 villages across 3 states even in the most remote parts of the country. Network of over 4000 dealers & retailers. Major R&D centre, to deliver better and more efficient products for the farmer. 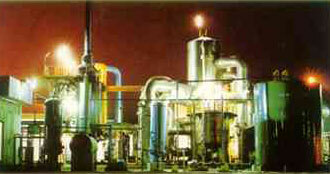 Three integrated fertilizer complexes across India with a total capacity of 850,000 MT/annum. The Fertilizer Division of the company manufactures and markets multiple agro inputs under the popular brand of "ANAND". The Agro Chemicals Division manufactures and markets a range of plant Protection Chemicals, Plant Hormones and Micro-nutrients.